Banks in Shanghai and Shenzhen have started to offer mild discounts for first-time home buyers, while Beijing's mortgage rate remains unchanged, according to online loan search platform Rong360.com. In Shanghai, all four major State banks－Industrial and Commercial Bank of China, Bank of China, China Construction Bank and Agricultural Bank of China－are offering first-time home buyers a 95 percent discount based on the benchmark interest rate, which is currently 4.9 percent. The discount could be gained in accordance with the different requirements of each bank, but it is unknown whether the new favorable policy will extend into 2019, a branch account manager from ICBC was quoted as saying by local media Shanghai Observer. In comparison, many other commercial banks in Shanghai still require a higher mortgage interest rate than the four major State-owned banks. In Shenzhen, Bank of China and Bank of Beijing lowered their mortgage interest rate for first-time home buyers from 1.15 times the benchmark interest rate to 1.1 times, with Citibank going further to 1.09 times, Beijing News reported last month. The decline in the home mortgage rate in first-tier cities will possibly have an indirect effect on other Chinese cities, which industrial analysts said will be positive. Among the 30 commercial banks in Beijing tracked by Rong360.com, 24 of them required 1.1 times the benchmark interest rate for first-time home purchases in November, while another five banks set their mortgage rate at between 1.15 and 1.3 times the benchmark interest rate. Sources from local commercial banks and real estate agencies said there was no sign of housing loans slowing down, and all of the existing measures and policies are expected to be strictly followed, Beijing Youth Daily reported. Nationwide, the first-time home loan rate ceased its 22-month consecutive growth in November by posting 5.71 percent, the same as in October. In Beijing and Shanghai, the average mortgage rate remained unchanged at 5.47 percent and 5.19 percent respectively in November, and in Guangzhou the reading slid 10 basis points to hit 5.62 percent, while in Shenzhen, it was 1 basis point lower from previous month at 5.61 percent. Yan Yuejin, research director at E-House China R&D Institute, said the mortgage rate has bottomed out in Guangzhou and Shenzhen, as there is little room for further declines. Shanghai, which offered the nation's lowest first-time home purchase loan rate in November, was 107 basis points lower than the nation's highest figure of 6.26 percent in Wuhan, Hubei province. More than bringing solid benefits to home buyers, the downward movement of mortgage rates is positive for society as a whole, according to financial analyst Mo Kaiwei. "This trend will mean commercial banks' home loan interest rates are more personalized and sustainable, and it is also a suggestion that the central authority's tightening polities on real estate are becoming more flexible for different groups of home buyers," Mo wrote. A historic high of 450 property restrictions had been announced across the nation throughout 2018, which led to a cooling down in home prices, sales volume, investment and land prices in the nation's property market, the Securities Times reported. 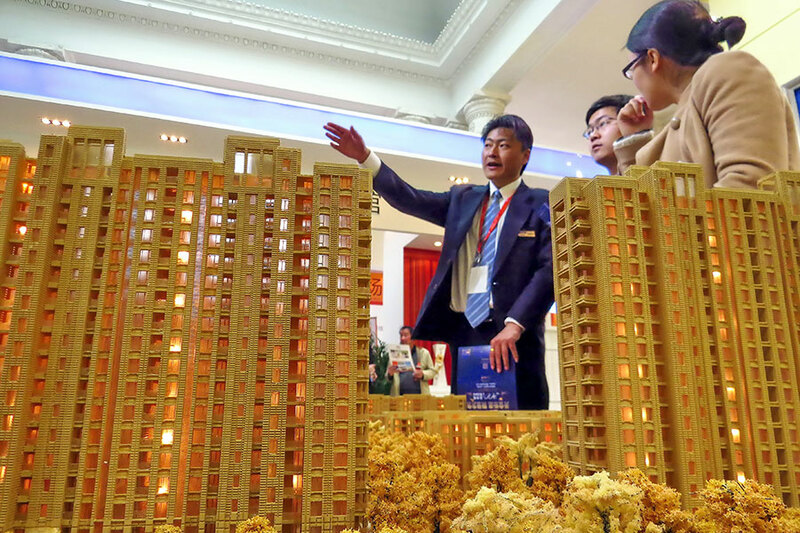 The annual Central Economic Work Conference held in December called for the building of a long-term mechanism to maintain the sound development of the real estate market and adhering to the principle that "housing is for living in, not speculation." "We have already seen positive signs for the real estate sector, and it is extremely important for local governments to strictly follow their policies without slackening. It is time to let the market play its role in the adjustment," said Chen Jie, a professor from China Institute for Urban Governance at Shanghai Jiao Tong University.